I don’t know why I love plants so much, but it probably has to do with the fact we have zero green space in/above/outside our apartment. Our interior is overrun with plants that I don’t prune, so overrun with twisted, bent, drooping forms grown wild. Each plant has it’s own dense pattern of leaves that trail, spike and grow in forms that seem animated, and that I love to stare at. I’ve tried my hand at drawing them, but I lack the patience for the number of leaves, I tend to only see the direction and density. Although not a master at sketching them, I’ve found it’s pretty easy to accumulate them, especially when the less perfect plants sell for a few bucks at Lowes, and the the Co-op peddles tiny starter plants for terrariums (although my experience is they’ve gotten very big, very fast.) 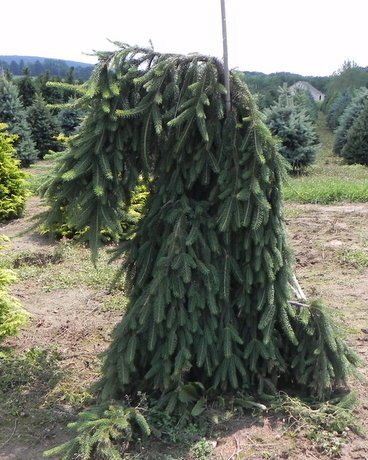 A recent drive-by included a plant I’d never seen before, a Norwegian spruce that looks like it’s weeping. Cave has since stated that he wants to move away from these pieces. 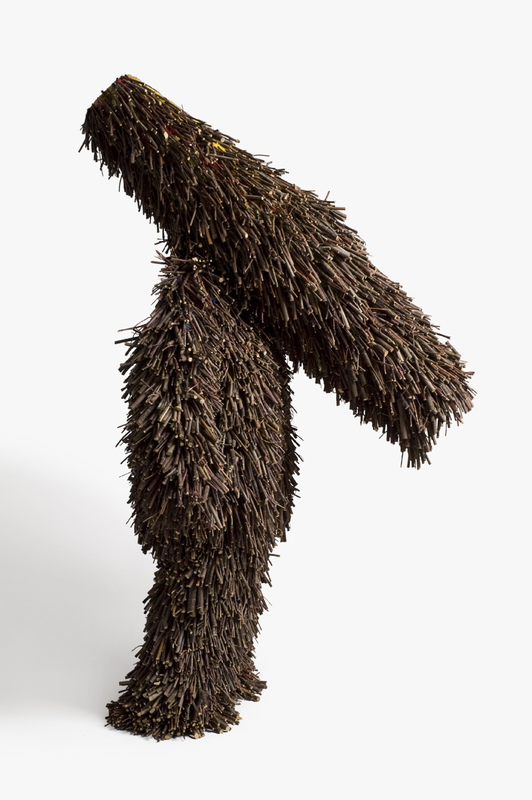 Although I’m sure the joie de vivre some of the later works elicit from audiences is welcome, some of the other sculptures of found objects and appropriated images speak more to the otherness and historical notions of race, as the earlier suits seemed to. I often find it perplexing that the expectation of an artwork is to deliver one clear note. The objects can help direct to a response that is often as complex or contradictory as the people making and viewing them.